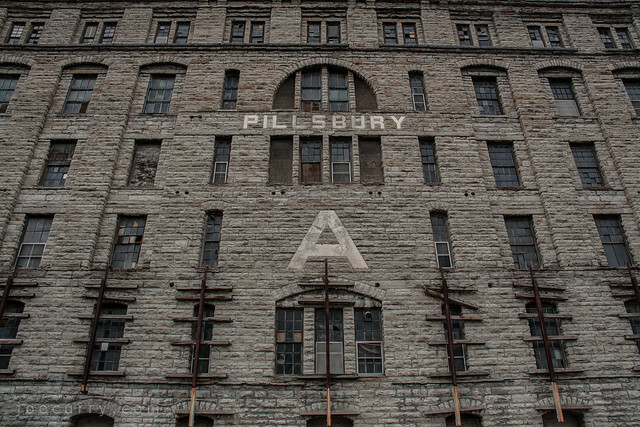 The Pillsbury A Mill sits along Saint Anthony Falls on the Mississippi River in Minneapolis. 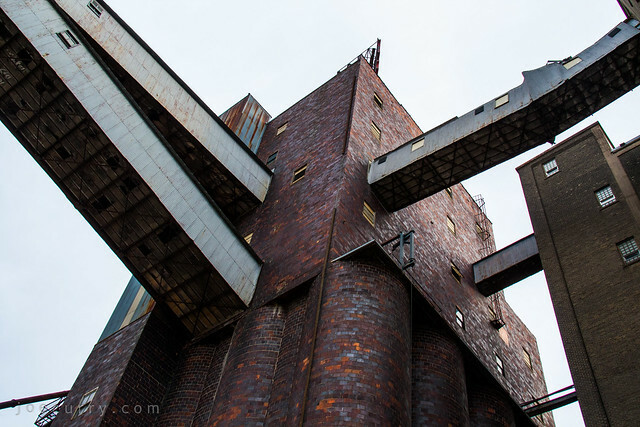 Completed in 1881, it once held the title of largest flour mill in the world for 40 years, though ceased operations in 2003. Due to vibrations of milling machines and poor design, in 1905 the limestone building was fortified and the top two floors were rebuilt. 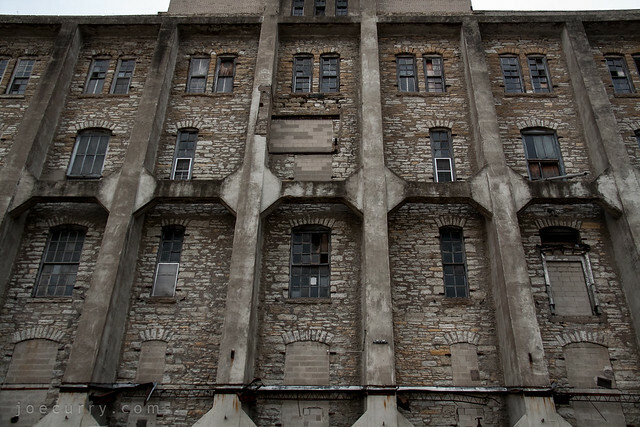 Concrete and rebar reinforced buttresses were poured to help stabilize the building and reinforce the rear wall, and the front of the mill still noticeably slumps in the middle. What’s in store for this historic landmark? The plan is to convert the mill into apartment space for artists. 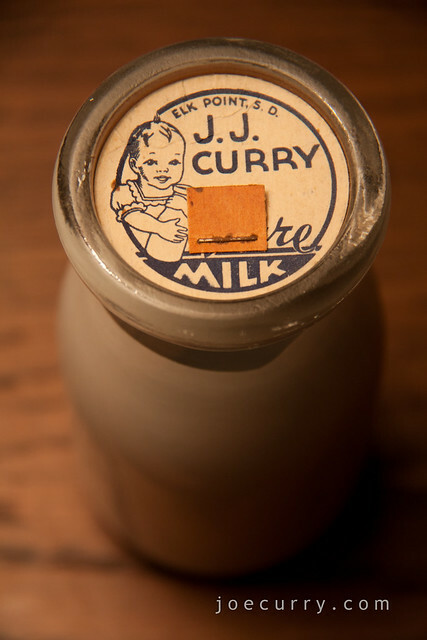 My earliest memory of milk (no, we’re not going there!) was in Kindergarten. The teacher’s aide (and staff tooth extractor) would pour milk into 25 wax-coated cups after recess and tell us to “Drink your bubbles!” Which was more fun than it probably should have been. Actually, milk has a special place in my family’s history. My namesake and great-grandfather, J.J. Curry, would milk cows twice a day and deliver bottles to homes around his South Dakota town. 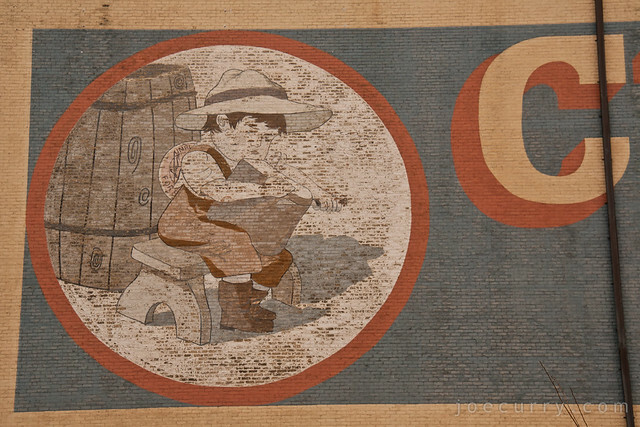 He was both a dairyman and farmer until 1935, when as my grandpa would tell it, J.J. came to a crossroad and had to decide “Was the family’s future in milk production or cornfields?” The outcome: a box of 5,000 unused milk caps and 77 years later, a family seed corn business that’s still going strong.